Vallejo continues to foster emerging hip-hop artists. Sharmaarke Purcell aka L Rucus hopes to start his own label one day. Some of the Bay Area's most exceptional rap legends came up in Vallejo: Mac Dre, E-40, J-Diggs, Mac Mall, Moe Green. Adding to this powerhouse of greatness are younger talents like Nef the Pharaoh, and DaBoii, Slimmy B, and Lul G of SOB x RBE. Another lesser known rapper — though equally as talented as those in this elite group — is Sharmaarke Purcell who goes by the name of L Rucus. 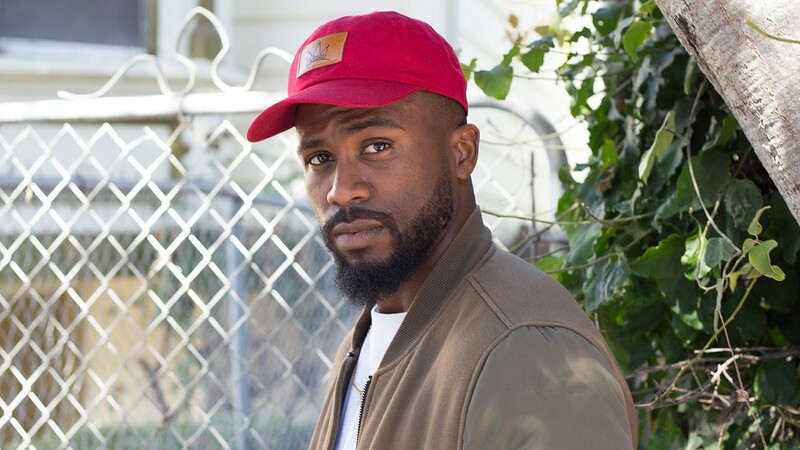 The 28-year-old crooner still resides in Vallejo and has been in the music business for a decade now — all independently, recording music at his own pace, and on his own terms. His track, "I Do It," relays his way of navigating the music industry the best: Listen imma do it my way / I told you imma do it my way. The remix of the track features Nef the Pharaoh and San Francisco rapper Show Banga. "Growing up, I had an affinity towards poetry, and as I got older, I dived deeper into music," said Purcell, whose influences include Kanye West and Lupe Fiasco. "Listening to them helped further influence me and my interest in music." Purcell is old school when it comes to writing music. He doesn't rely on technology to jot down lyrics, opting instead to write everything on paper. As an independent artist, the rapper understands how much extra work is involved in managing his career as well as the constant pressure to stay relevant. "Everything falls on you, whether it's promotion, branding, marketing," he said, not to mention budgeting. Independent artists like L Rucus often can't rely on selling music or merchandise and getting booked for gigs to make ends meet — a regular 9-to-5 job is usually also part of the equation. He currently juggles two jobs. The silver lining to doing everything on his own is that he has picked up new skills maneuvering through the competitive music industry. "It helped me learn a lot more about the business side more in depth — the understanding on how to read a contract or write up my own contracts. A lot of people don't understand that you can turn this into an LLC," he said. That's wise information when it comes to tax season and especially helpful for those up-and-coming artists without a financial planner or accountant on their team. "You gotta use that machine to constantly fund yourself, in a sense." Purcell put out his Summer Solstice EP in 2015 and a full-length album, The Long Way Home, earlier this year. He is also currently promoting a new single, "Splash." His music is equal parts hip-hop and R&B while paying close attention to the hook of each track. For Purcell, a beat that accompanies each song is just as important as the lyrics. "The beat will have its own feel," he said. He's hoping to expand the reach of his music to other markets through a distribution company. In turn, the continuous flow of new music has to keep coming, and he has to keep writing lyrics. "I have to stay on people's faces, doing shows, and networking," he said, adding that he's currently working with Sofar Sounds in the hopes of booking more intimate living room shows. The need to stay relevant is something that all artists have to constantly think about — for those under a record label, there's a team in place to promote and safeguard an artist's longevity. For an independent artist like L Rucus, the constant hustle falls squarely on his desire to stay in the game. He does recognize that being from Vallejo comes with a special badge of honor, thanks to the many OGs who came before him and the new talent emerging from the 707. He sees the name recognition as added fuel to continue pursuing his musical endeavors. "It's definitely empowering," he said. "You feel like, they're from your hometown, and you're starting to see the new generation starting to pop up, making a name for themselves." The fact that Vallejo is gaining recognition for music is giving L Rucus that extra push to stay consistent no matter how difficult things can get. Getting burnt out is part of human nature, but for the rapper, it's all about going twice as hard once you recuperate. "We're not robots, we're humans," he said. "At some point you're going to say, 'You know what? I'm tired. Let me take a break.'" In the future, he wants to be self-sufficient and stable enough financially that he can focus on the music without having to worry about how to distribute it to the masses. "I'm going to work out to be like a Jay Z, or a Kanye — start my own label, and bring that revenue in," he said. How does Purcell feel now about Kanye West after his pro-Trump comments? He pointed to an artist he heard on a radio show. "He said, 'I can never talk bad about my idols because they influence me. But the type of discussions that I would have, I would have them behind closed doors.'" He still sees West as one of the most profound and prolific artists in the game.